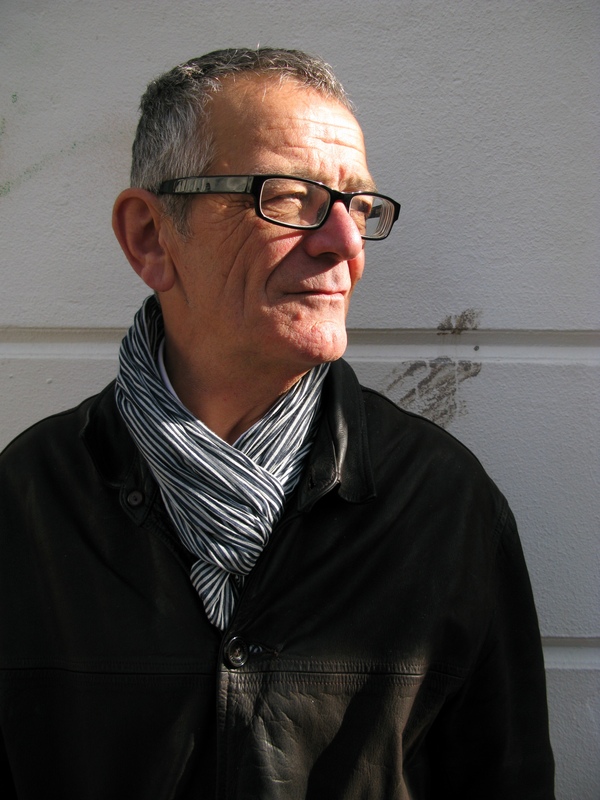 The writer, curator and lecturer David Evans died in late 2018. Since the new year, conversations with his friends, colleagues and collaborators have highlighted the deep and unique impression he left upon those he encountered in the art world. Here, Tom Lovelace brings together some of those responses to his loss. 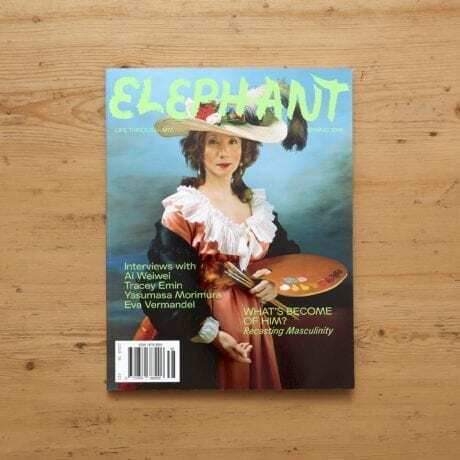 Elephant will miss him greatly. David Evans studied history at Cambridge, graduating in 1971. He then embarked on an MA at Sussex in American studies, before going to live in Louisiana. During the late 1980s David moved to East Germany where he wrote and researched his book on John Heartfield, which was published in 1991. Upon returning to the UK, David trained as a secondary school teacher and started teaching in South London, work he loved. This led to him teaching photography in universities: at Farnham, London College of Communication and then finally at the Arts University Bournemouth. Most recently David became a Research Fellow at Birkbeck’s History and Theory of Photography Research Centre. Published books include Appropriation (Whitechapel Gallery and MIT Press, 2009), Critical Dictionary (Black Dog Publishing, 2011) and The Art of Walking: A Field Guide (Black Dog Publishing, 2013). David moved to Germany for a second time in 2014 with his wife Frederique Poinat-Evans and son Nathan Evans. His daughter Chloe remains in the UK. I hope the following words will provide an insight into David’s enchanting energy and wonderful mind. Personally, I am still coming to terms with the loss of a brilliant friend, collaborator and important contributor to contemporary art and specifically photography. I first met him at the Arts University Bournemouth in 2000. He was my tutor. David cared immensely about visual culture and its role within the world in which we live. He was eccentric, he was soft and his attitude was infectious. After graduating, David and I started to work together on projects and he quickly turned into the person I turned to in times of creative need. He will be missed dearly. David Evans was passionate about the book as an experimental tool to think about art and photography. He published two books with Black Dog, where he worked closely with the designer Rachel Pfleger to activate the design of the publications as a further element in his investigations of the image. The first book was Critical Dictionary in 2011; he updated Bataille’s original concept to include terms such as Drone, Error, Mycelium and Umfunktionierung, and brought together the works of a diverse group of artists such as Jo Spence, Omar D, Michael Clarke, Broomberg and Chanarin, Penelope Umbrico et al, to question these categories. He followed this with The Art of Walking: A Field Guide in 2012, again designed by Rachel Pfleger. This time he speculated about the conduit of walking in relation to contemporary art production. David proposed a series of imaginative visual walks using various categories such as “footprints and lines”, “marches and processions”, “aliens, dandies and drifters” and “dog walkers”. Again he gathered a broad group of artists and writers to explore his ideas on peripatetic art production including Lawrence Abu Hamdan, Franko B, Sophy Rickett, Siobhan Davies, Ingrid Pollard and Krzyszstof Wodiczko. Those books by David Evans are special because they focus on ideas within contemporary art discourse and expand the methodologies of critical dialogue by being celebratory, non-hierarchical, playful and ultimately productive. What I admired and loved about David was his combination of wisdom and youthful intellect. That’s very rare. For all his learning, for all his understanding of the tough lessons of history, he was never, ever world-weary or pessimistic or cynical in his outlook. There was simply too much fun to be had juggling the critical life and the creative life of the mind, and finding outlets for them, be they writings, visual books or exhibitions. I know now how profoundly that spirit was at David’s core and how deeply it affected mine. We taught together at Farnham for five years, making it up as we went along. We dodged the deadly virus of academic bureaucracy and saved our students from it whenever we could. David’s enthusiasm for what matters and his disdain for what doesn’t were hard won but elegant. That’s something to live by. David and I were connected though our shared infatuation with the anarchy of Buster Keaton, a man wrestling entropy with a noble wit and grace. David’s book The Art of Walking: A Field Guide is a seminal survey of artists who walk and is seen on the shelves of most art schools. David’s genius, though, with this book lies in the naughty iconoclasm he brings to the sometimes po-faced world of art. Richard Long’s A Line Made by Walking is placed here in a chapter of “Slapstick Walks”, the dry conceptual rigour of Long being mischievously reframed by David as a hilarious Buster Keaton-like act of dogged perseverance in the face of futility. This is what I loved about being around David’s sharp mind and twinkling eyes—the world could suddenly be tilted through 90 degrees to make it more interesting, funnier and profoundly unsettled. I met David last summer when he visited London to discuss and plan a group show that would be a first response to his beautifully written and insightful essay “Bataille, Blossfeldt and the Language of Flowers”. What followed, over a number of months, was an email correspondence that was always inspiring and full of ideas and plans, full of the energy, rigour and humour that David was known for by so many. Our group show, at the Institute for Everything Possible in Berlin in early October 2018, included a reproduction of Blossfeldt’s well-known photograph of a poppy head alongside works by myself, Rut Blees Luxemburg, Tereza Zelenkova and Nikola Zelmanowic. David, myself and Rut continued to discuss ideas for a larger museum show that would include more artists, as well as an accompanying book that David would contribute to. Sadly, with David’s passing, this was halted suddenly. Even to the last David was emailing with new ideas and approaches. I feel privileged to have worked with him and to have known him, if only for a relatively short time. David Evans was introduced to me by a mutual friend, artist Mishka Henner, and attended the very first opening of my gallery in March 2016. Already on that very first night David surprised me with his openness, wit and intellect, and very quickly we collaborated on and co-curated our first exhibition, Adult Material. David became a major driving force in the development of the gallery programme and solo-curated two further exhibitions. Unfortunately, he was already too ill to attend the opening of his last show, Dead Pan. Aside from David’s brilliant mind and his wonderful ability to coherently explain well-researched, complex issues relating to art and photography, I shall miss the man himself and his sense of mischief. David showed me and challenged me to climb walls (physical and intellectual) and he knew how to levitate and fly. 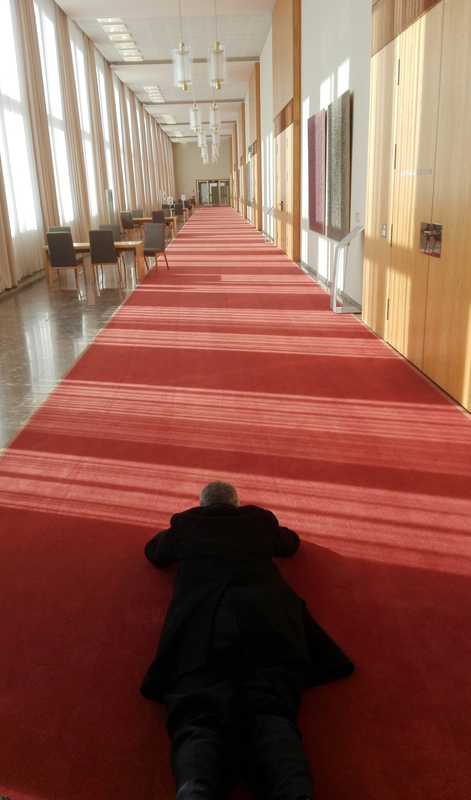 One of my favourite photographs taken in early 2018 shows David after he jumped onto a red carpet to take a photograph during a joint visit to the Staatsratsgebäude, the historic Berlin building where the State Council of the GDR operated from 1960 to 1990. Long may he fly in a parallel universe and long may his thoughts, recorded in many books and essays, carry on inspiring everyone who reads them. Always present in his surroundings, David lived on the precipice where art meets life and life imitates art. He found humour in almost every situation and if there wasn’t any he’d invent it. He was a kind-hearted soul who will forever remain a good friend and mentor to me. Our final collaboration was Crash (September 2018). His contribution was not only as curator but also as an artist using “photo conceptualism” (his own term). I recall his avid excitement when he told me that he had discovered and purchased a collection of crash photographs which would now be passed on as his own, citing the photographer’s name and titling it French Provincial Crashing after a cookbook he’d also discovered—just one example of the many playful interventions that I witnessed David make as he sought to tease the status quo, bringing life and laughter wherever he walked. Words by David Evans, extracted from email correspondence with Stefan Riebel. FedEx delivery of flower wallpaper. I will wear my suit, but no tie. Do I bring a cake? The perfect match—you and Penelope Umbrico! See you in 60 minutes! I am getting confused about all of the projects! Not too late, I hope. Let’s not worry about consistent spaces between paragraphs at this point. I will put it in my notebook! PS Does it look good? Feel free to use my name. It would be nice to chat further.